Webster, Jane S.; and Holland, Glenn S., eds. Reading The Lost Jewels of Nabooti, a “Choose Your Own Adventure” book by R.A. Montgomery as an eight year old in 1979, I never could have imagined relating that adventure to the book of Revelation in scripture. Now, after reading Robby Waddell’s essay “Choose Your Own Adventure: Teaching, Participatory Hermeneutics, and the Book of Revelation” in Teaching the Bible in the Liberal Arts Classroom: Volume 2, the possibility of a scholarly conversation between the two makes me eager to teach Revelation again. Teaching the Bible includes four parts: tactics, strategies, principles, and reflections on Biblical Studies in the liberal arts classroom. Waddell’s essay is just one of several essays sharing tactics for teaching the Bible. Each of these tactical essays highlight creative and compelling possibilities for teaching: Twitter as a tool for conversation and connecting, Wikipedia as an example of Pentateuchal formation, and digital storytelling to illumine Biblical character studies are just a few examples. Certainly it would be easy to view these tactics as mere activities for class discussion. However conceptualized, within this framework these tactics reveal deeper truths: the changing role of teachers in a twenty-first century globalized classroom, the ongoing fight for humanities’ role as a vital component of a post-modern education, and facilitating effective learning when it is all too easy for a student to surf the Internet while taking notes on their computer. 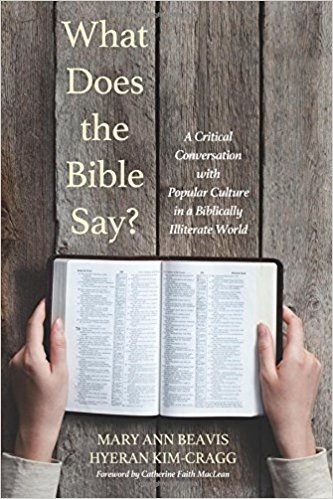 Editors Jane S. Webster and Glenn S. Holland, along with their cohorts in the “Teaching Biblical Studies in the Undergraduate Liberal Arts Context” within the Society for Biblical Literature, care about this deeper conversation. Tactics for teaching become activities when separated from guiding strategies and overarching principles. Tactics become a particular art form when guided by essays like those included in Parts II and III of this book. Consider the strategy suggested by Sonya Shetty Cronin in her essay, “Fantasy: The ‘Renewed’ Genre Making Necessary a Biblical Education for Understanding Our Contemporary World.” Cronin’s argument suggests scholars of Biblical studies should be just as versed in modern fantasy novels as they are in Philo. Doing so allows scholars to continue to present the modern relevance of Biblical themes as well as their undergirding of so much of popular culture. If strategies are the goals that guide tactics, principles are the greater themes that illumine those strategies. In this volume, themes of ecology, supersessionism, and violence are explored as principles that call for a deeper conversation within the Biblical narrative and contemporary culture. The final three essays, exploring Biblical studies in the liberal arts curriculum, are valuable conversation partners. For example, Steven Dunn highlights a syllabus and course objectives drawn into conversation with the ability-based curriculum at Alverno College. Katy E. Valentine probes the problems and possibilities for teaching students from non-religious backgrounds. Certainly The Lost Jewels of Nabooti drew me into the scholarly conversation unfolding within these pages. To be clear, this excellent book is not unlike a “Choose Your Own Adventure” book where the reader chooses the adventure most needed within their classroom setting.